Are you looking for a way to design a beautiful decorative patio, something different from your neighbors’, family members’, and friends’? Fortunately, you have an excellent option using an architectural limestone coating. In just one to two days depending on the size of the area, an artisan will complete the project. 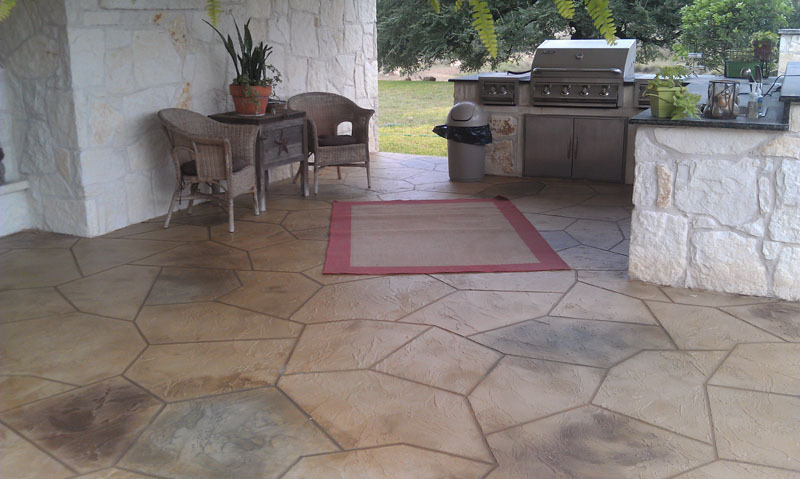 Because this particular type of coating creates a deep texture and unique elements, you can use it for any decorative patio design. 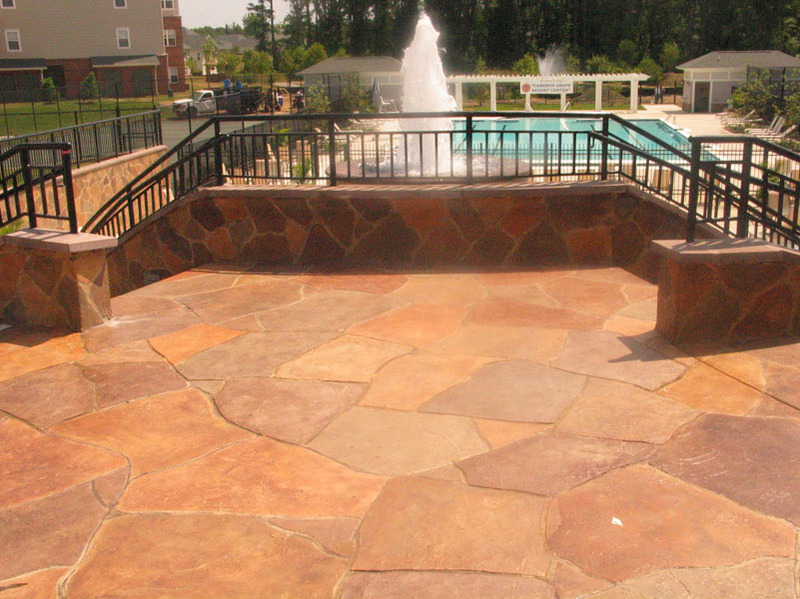 Along with using a product like Tuscan on the floors, consider changing the look of other surfaces on your patio, including brick, drywall, stucco, cinder block, and so on. For instance, if you have an outdoor brick fireplace, this custom stamped overlay effect would look stunning. With a country design, you might complete your decorative patio by adding handmade wood furniture, log tables, and candles. During the summer, you could even use an old wagon wheel to display colorful flowers and bright greenery. To complete the look, incorporate southwestern colors, including red, orange, yellow, and black in cushions, pillows, and throws. If you want to achieve a more sophisticated decorative patio design, you can still use the same architectural limestone coating. 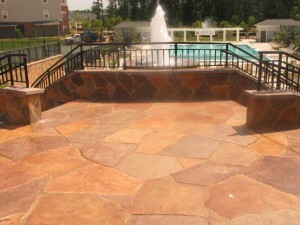 However, this time, you might have the expert create surfaces that look like slate or flagstone. Then, select beautiful coloring techniques using various shades of blue and gray. You can even have concrete furniture made, also enhanced with the same coating. Finish the design with pops of yellow.